The apartment is set within a listed building that has been enlarged to include a new build addition. In order to maximise the building footprint the developer built along the buildable boundary creating sharp walls and interior spaces. The challenge that we faced was dealing with the irregularities that were dictated by the site. 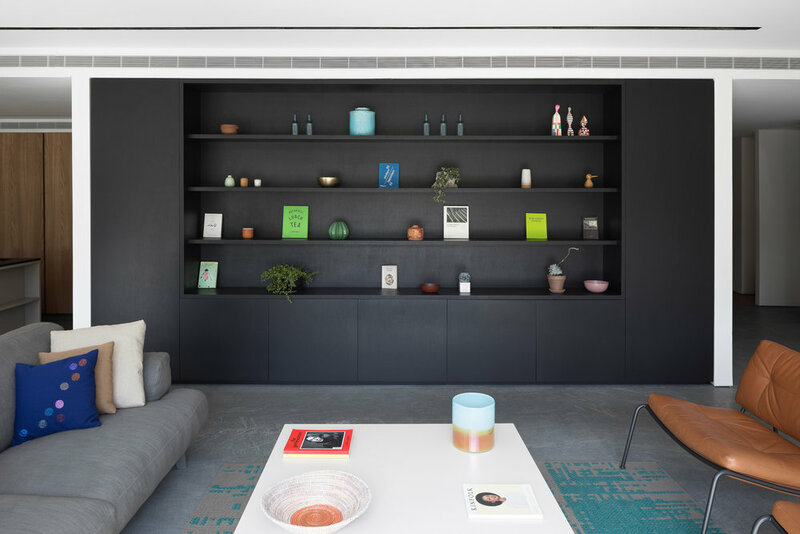 In order to create a more regular space the shifts were straightened via bespoke carpentry elements and hallways such that the rooms do not feel that they are angled. 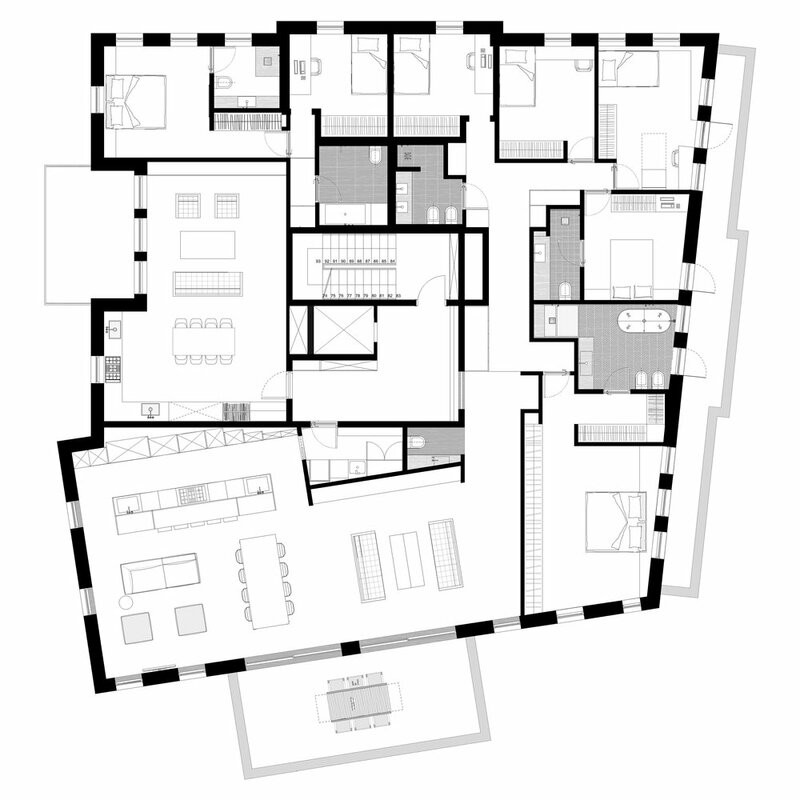 The space is divided into a large open space public area, the master bedroom has its own suite and childrens bedrooms have their own wing towards the rear of the apartment. This layout creates maximum privacy for the residents of the house whilst retaining a large communal space to gather. 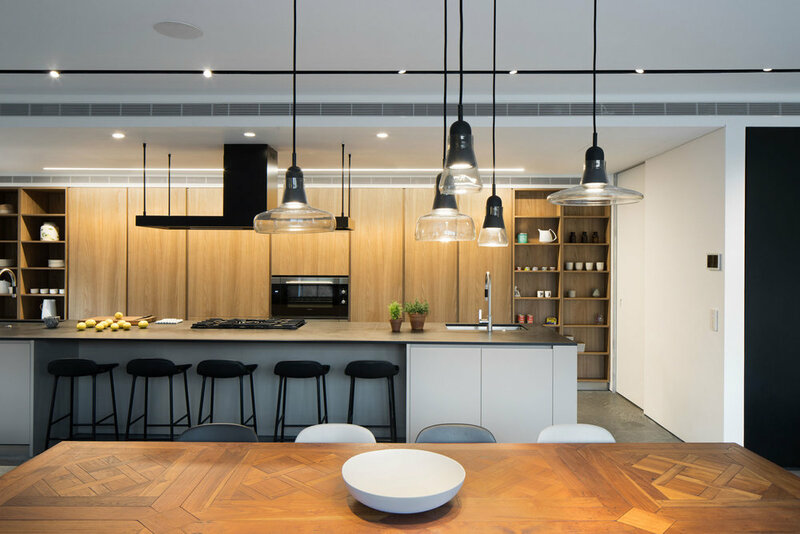 The kitchen is set back within this communal space. The island is a dominant element in the space and is the point in which the family members can interact. It divides between the service area and the recreational areas of the open space. Cordosa Stone, Oak, and MDF.